I grew up with a HUGE table in the basement covered with thousands of Lego blocks. 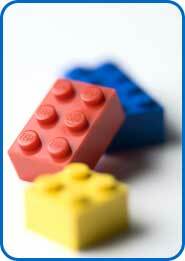 From creating towns to building fancy houses, cars, robots, I could play with Legos for hours and days on end. And so, it was with great sadness that I read today that Lego Group is laying off thousands of workers in an effort to remain competitive. I hope they recover and rebuild! Read article here. I also love play dough, except for the fact that it makes your hands smell funky. That is so wrong. I love legos, I still have them. I can’t wait to pass them off to my won children. If I have any.